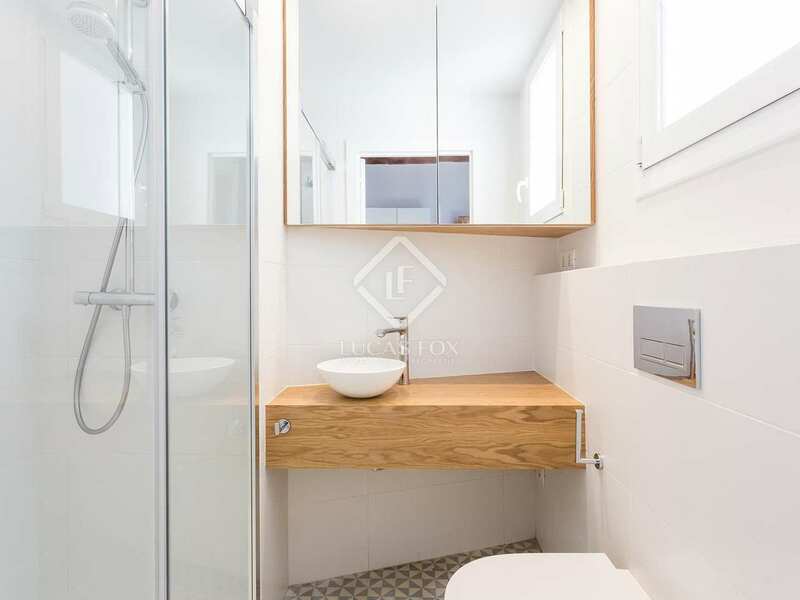 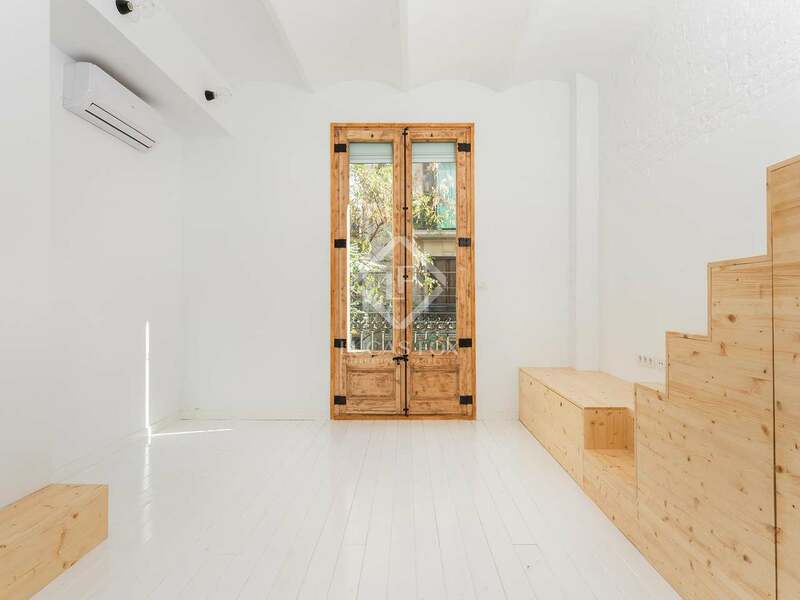 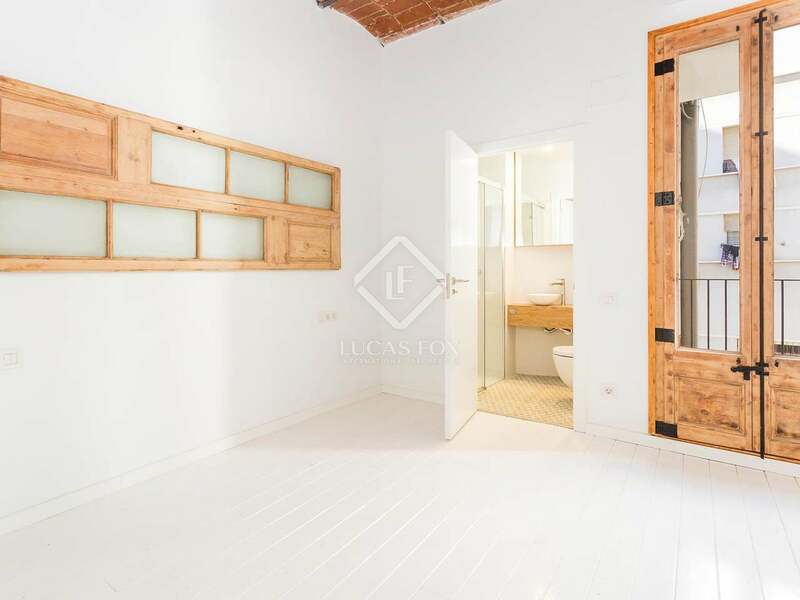 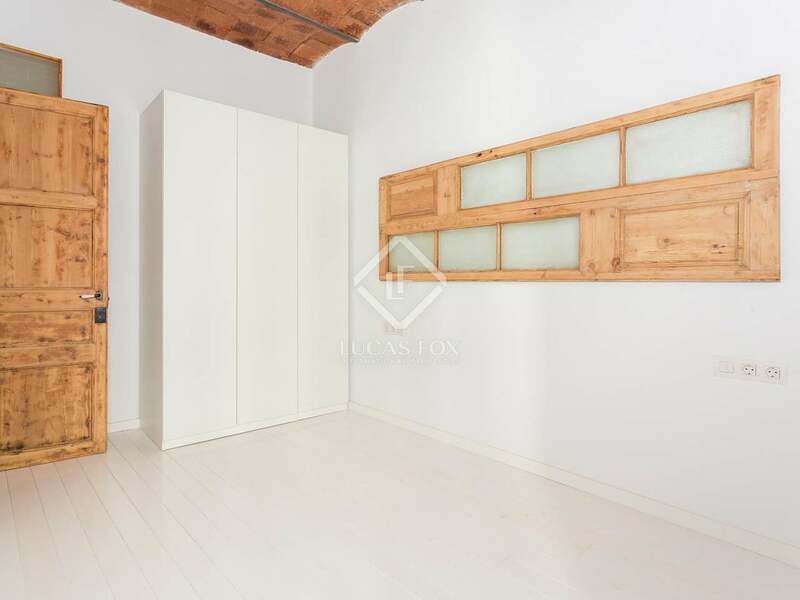 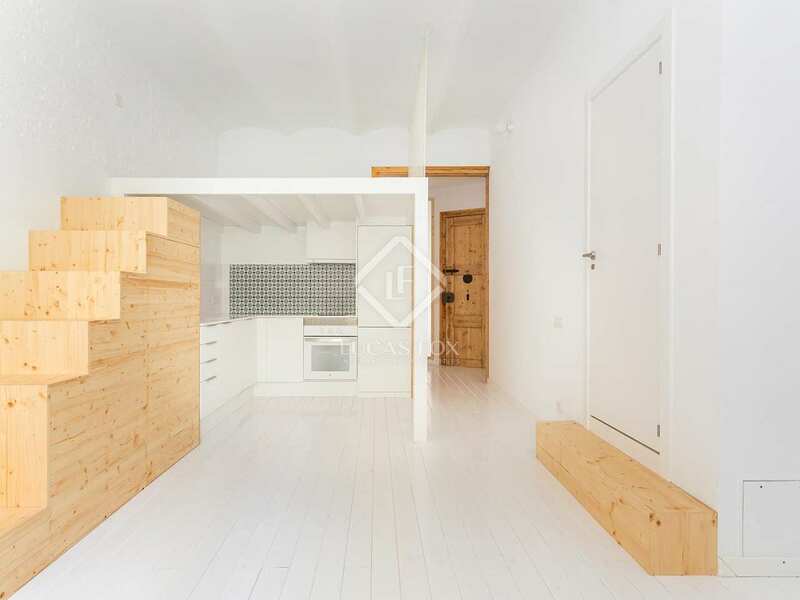 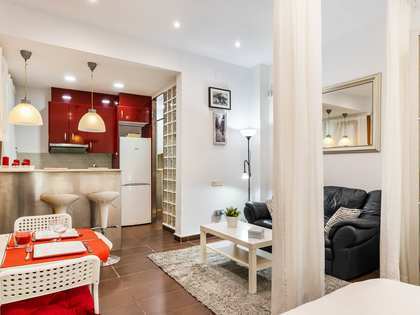 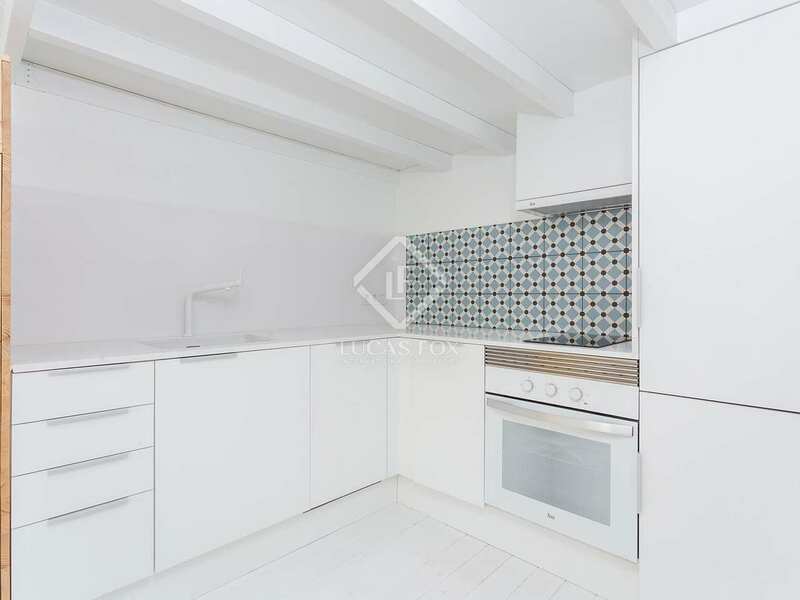 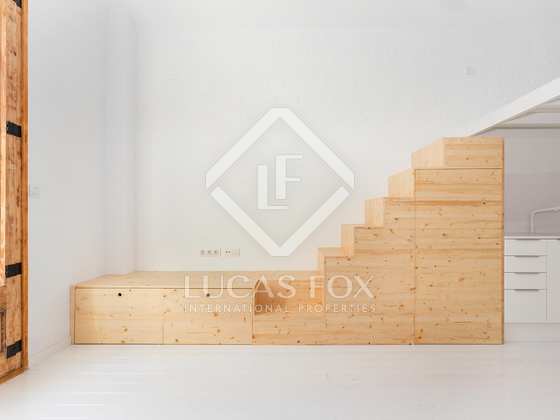 On the second floor of a building in the upper part of Barceloneta, just a few minutes' walk from the beach and many public transport services, we find this fully renovated 1-bedroom apartment with a bathroom and a guest toilet. 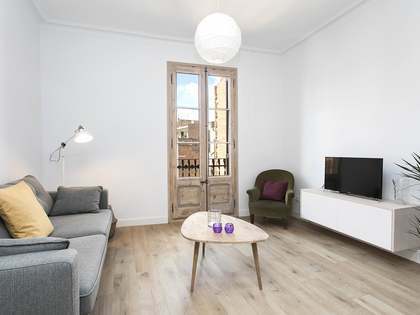 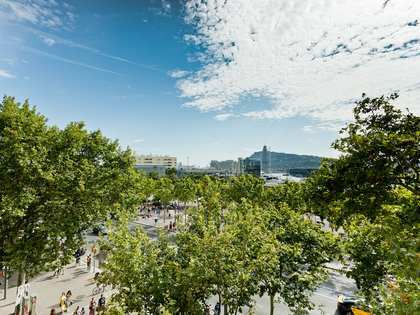 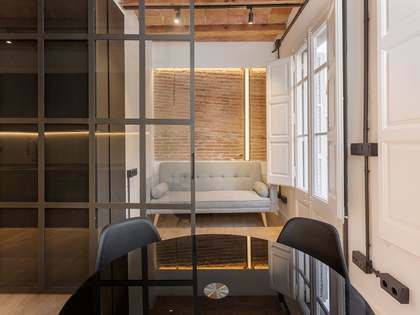 The location offers easy access to the beach, the Born neighbourhood and Passeig Joan de Borbó on foot. 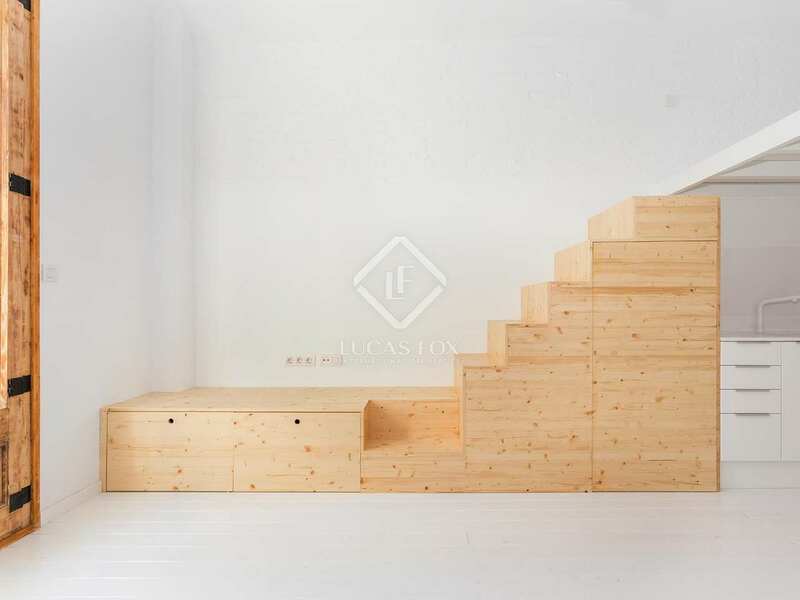 On entering the property we find the large main room which has been cleverly divided into a living area with an open, equipped kitchen and a sleeping or relaxation area on the mezzanine which is reached via made-to-measure decorative steps. 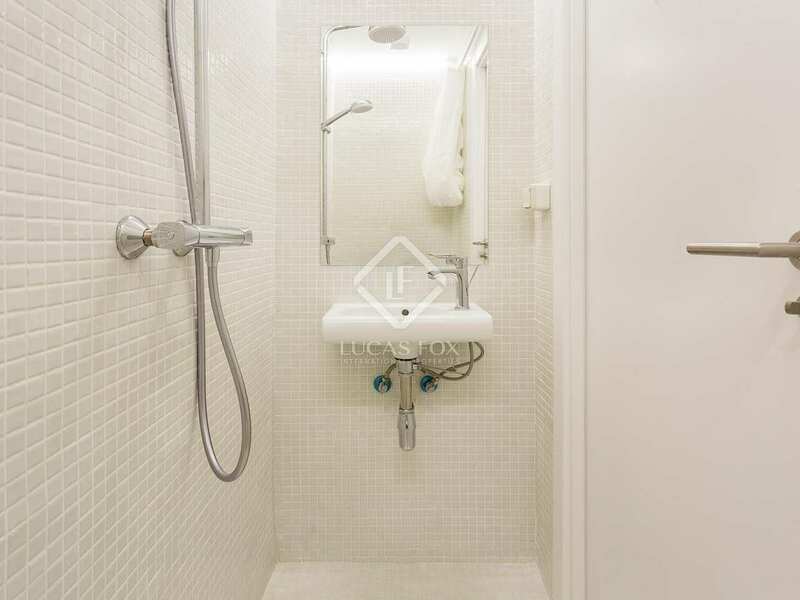 Leading off of this room we find the main bedroom and a bathroom and toilet. 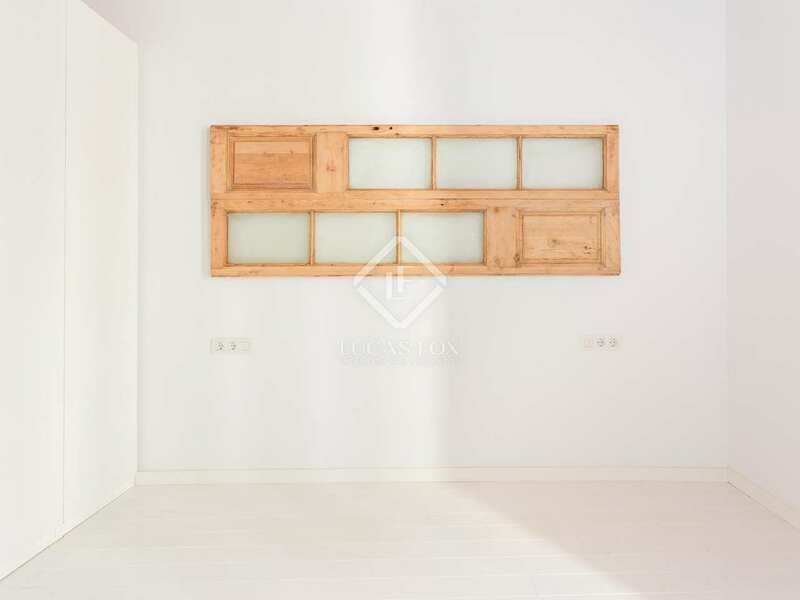 The apartment had been fully renovated and enjoys abundant natural light thanks to its sunny aspect facing the sea and the 2 large windows that lead out to 2 balconies. 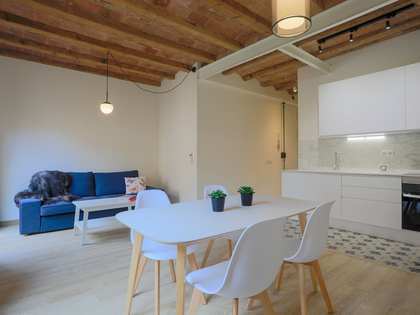 The renovation has sought to embellish the original beauty of the property with features such as the vaulted ceiling and period carpentry being maintained. 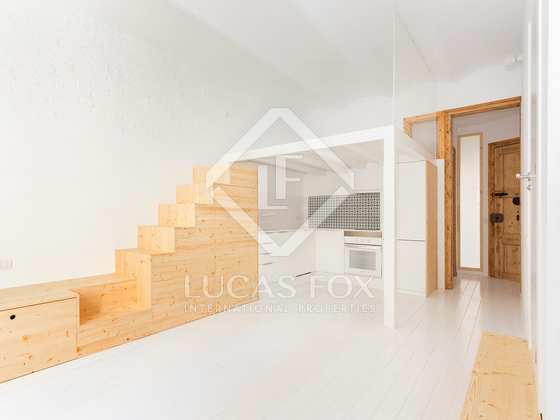 The property is registered as having 39 m², 50 m² appear in the land registry and 55 m²​ approximately in the floor plans. 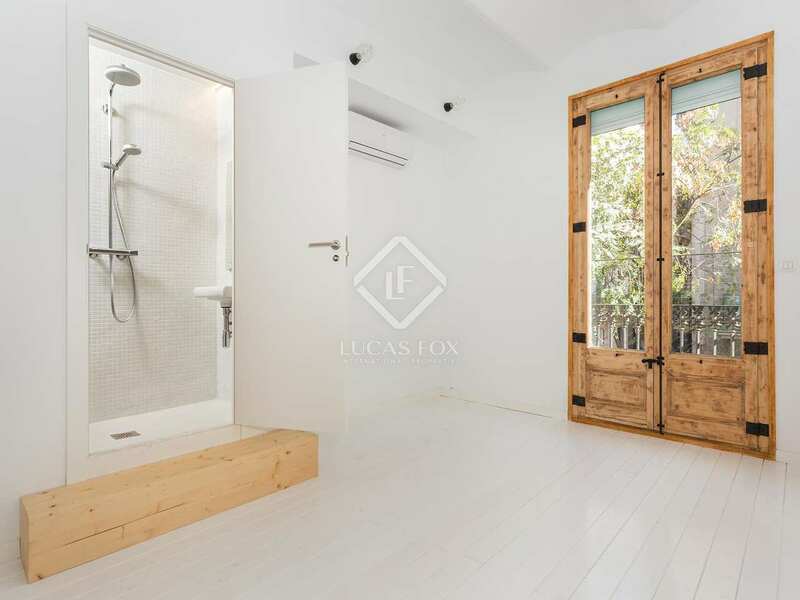 A comfortable, bright property with unique character. 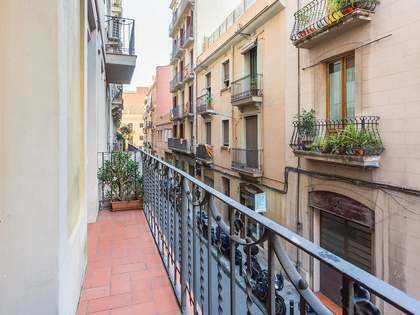 On a street in the upper part of Barceloneta. 200 metres from Barceloneta station (yellow line). 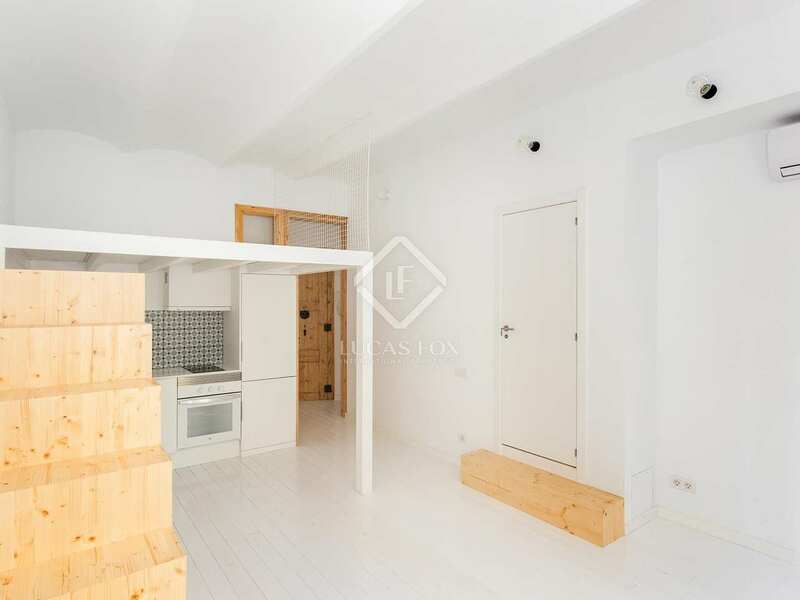 500 metres from Estació França (train station). 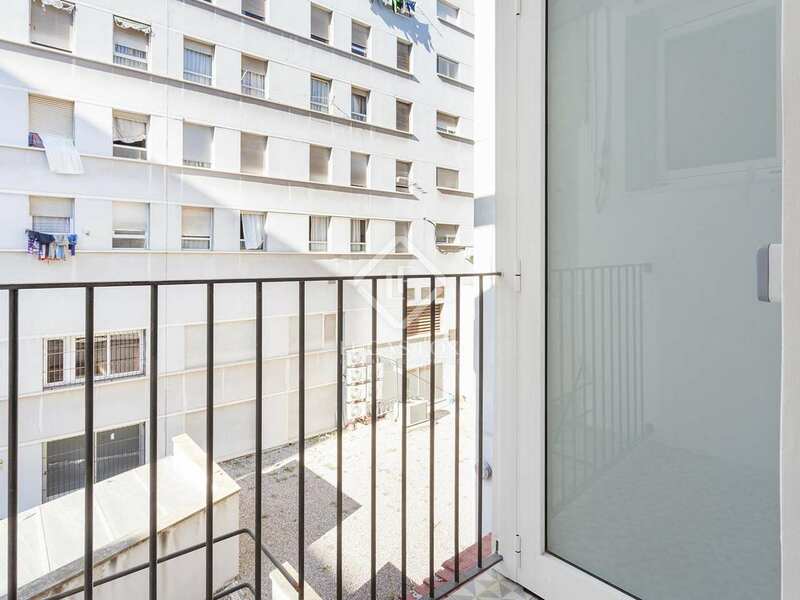 300 metres from stops for bus lines 39/45/59/D20/N87V15. 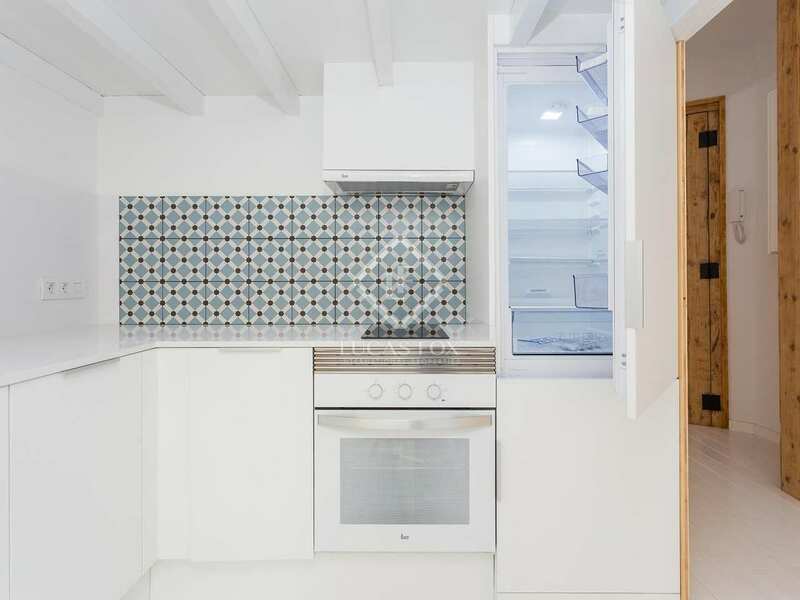 700 metres from the beach.